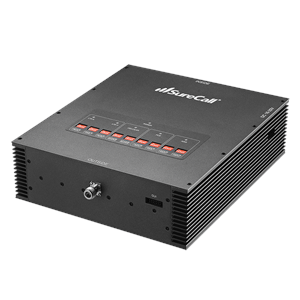 The SureCall Force5 VoLTE certified cell phone signal booster is an alternative solution to a DAS at a fraction of the cost. Force5 increases signal strength for voice, text and 4G LTE on all North American cellular carriers, including AT&T, Verizon, Sprint and T-Mobile. Force5 is a complete enterprise solution designed for large buildings 25,000+ sq ft, supporting 100+ simultaneous users.